Bakeries love throwing around terms that make their bread seem healthy. “Stone ground” or “multigrain” breads, for instance, might be a cut above your average loaf – or they might not, since those terms are often loosely defined, if they’re defined at all. 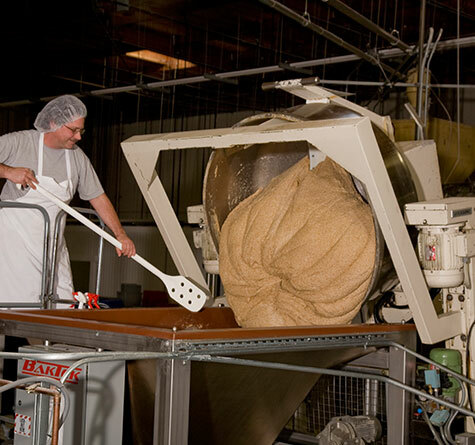 But here at Alvarado Street Bakery, we don’t just throw around fancy words to dupe our customers; we want you to know what’s really in our breads, what makes them special, and how they’re actually healthier whole grain products. 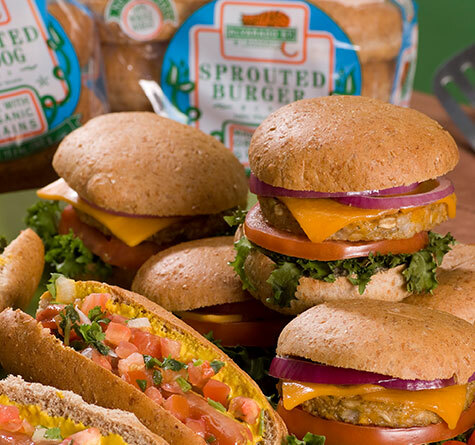 It’s actually pretty simple: the heart of creating healthy breads, buns, and bagels is our use of sprouted grains. 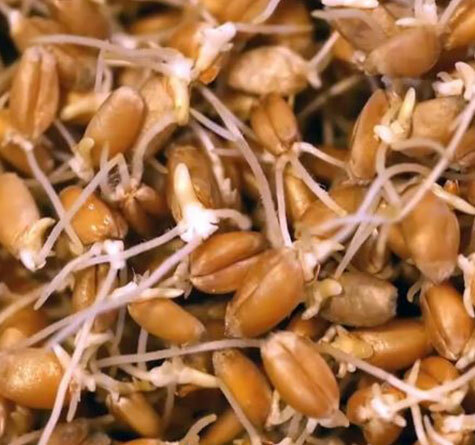 Sprouted grains are whole-grain seeds that have begun to sprout. So while all sprouted grains are also whole grains, not all whole grain products are sprouted. 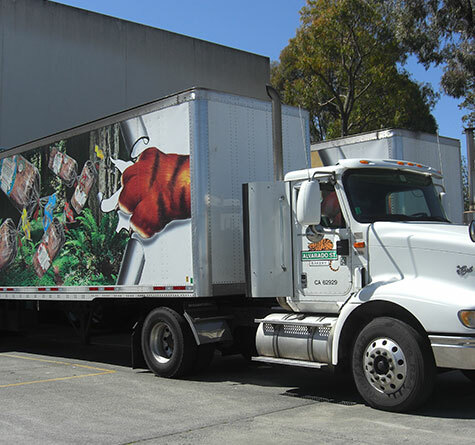 To induce sprouting, we soak our seeds at just the right temperature and humidity levels. Then, once the sprouts emerge from the germ of the grain, we take those sprouts and mash them into a dough, and bake them up in a variety of amazing breads and bagels. Sprouted grains have lots of health benefits. The germinating process breaks down starch in the grain, which increases the relative amount of vitamins and nutrients it contains. Folate, fiber, vitamin C, zinc, magnesium, and B vitamin levels are all higher in sprouted grains than they are in traditional grains. Sprouted grains also have essential amino acids like lysine that you won’t often find in run-of-the-mill breads. And sprouting breaks down phytate, a form of phytic acid that decreases absorption of vitamins and minerals in the body. Finally, the sprouting process makes the grain easier to digest, leaving you with more energy. So when it comes to making healthier choices about bread, think about doing even better than whole grain. Think wholer grains — ones that are actually sprouted to life and packed with more nutrients and no artificial junk or filler. At Alvarado Street, we call it real bread — the kind that isn’t just healthier — it’s better texture, better flavor, just plain better. Grab some today at your local market.